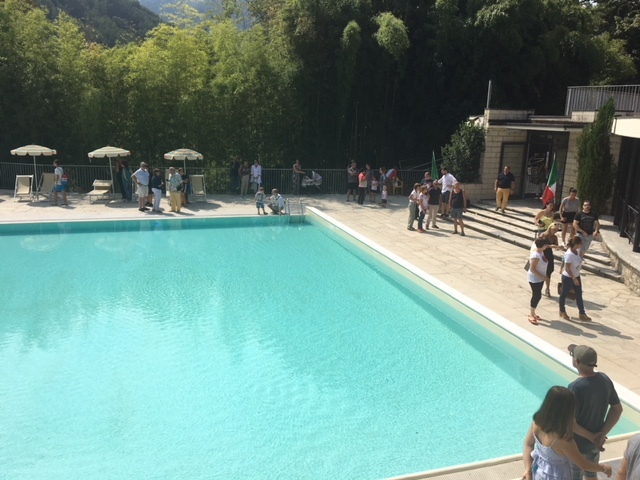 The beautiful pool in Bagni di Lucca was opened to much celebration. 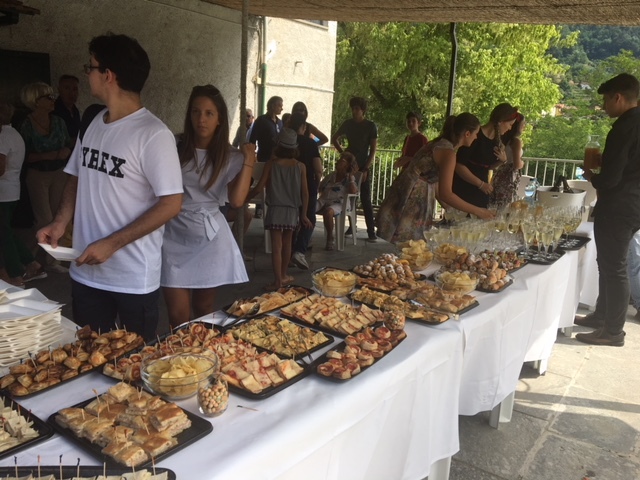 Thank you Rosi for taking photos and sharing the event with us. 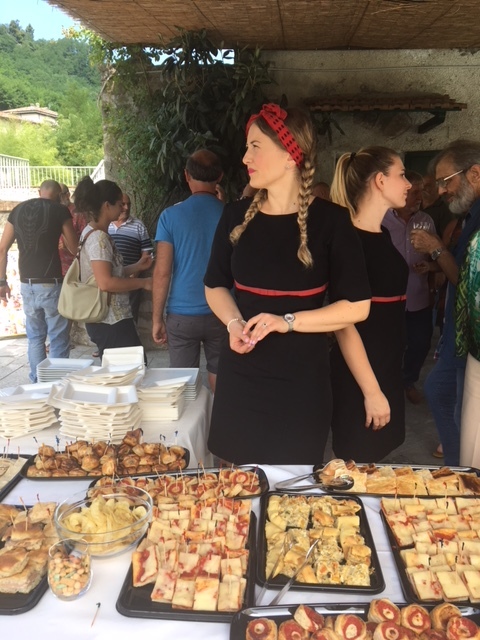 It would not be an Italian celebration without food. 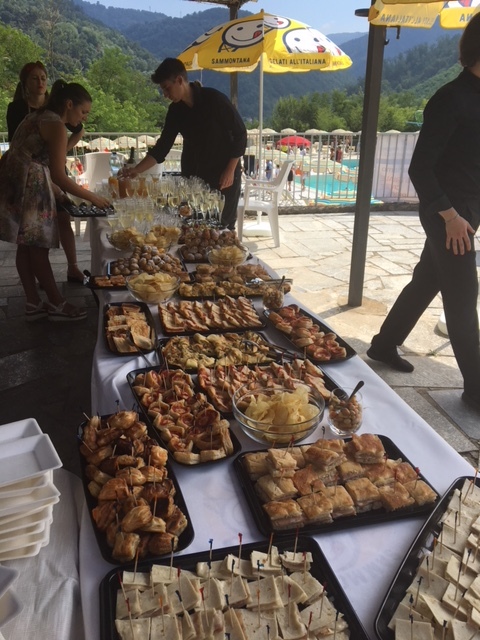 The pool is in the most magnificent setting with views across the mountains and has all the style of a 1950s movie. 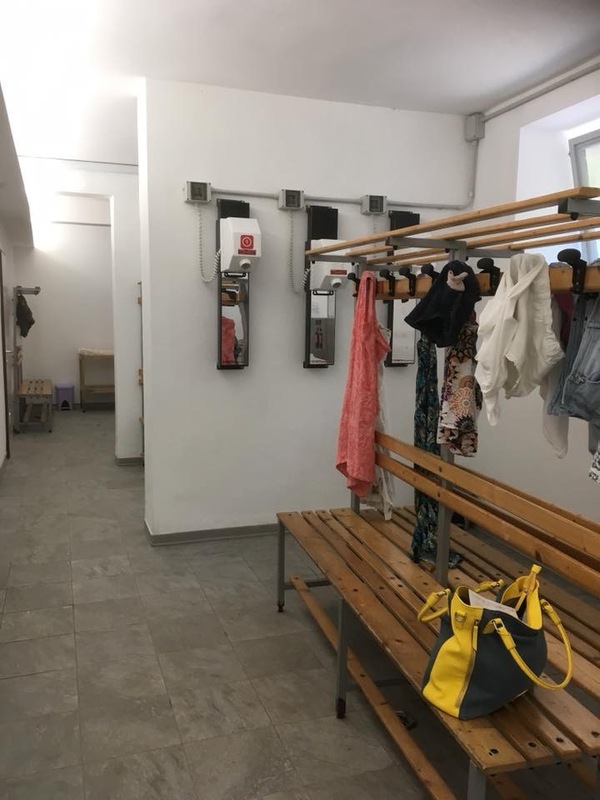 It is great that the renovations have enabled it to be open for at least some of the summer season. Here are some more photos of the gorgeous pool taken by Elizabeth Nelson…a big fan of the pool. 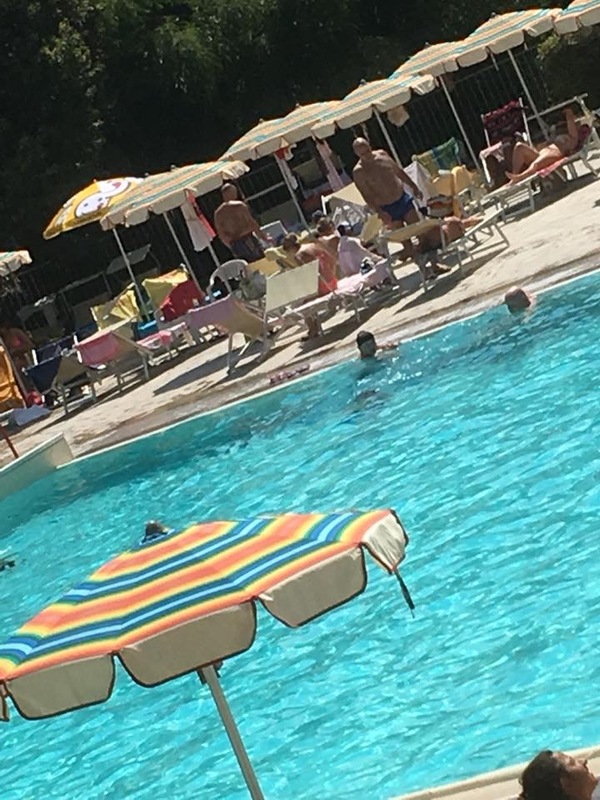 This entry was posted in Things to see and do and tagged Bagni di Lucca, local events, pool, summer by Debra Kolkka. Bookmark the permalink. 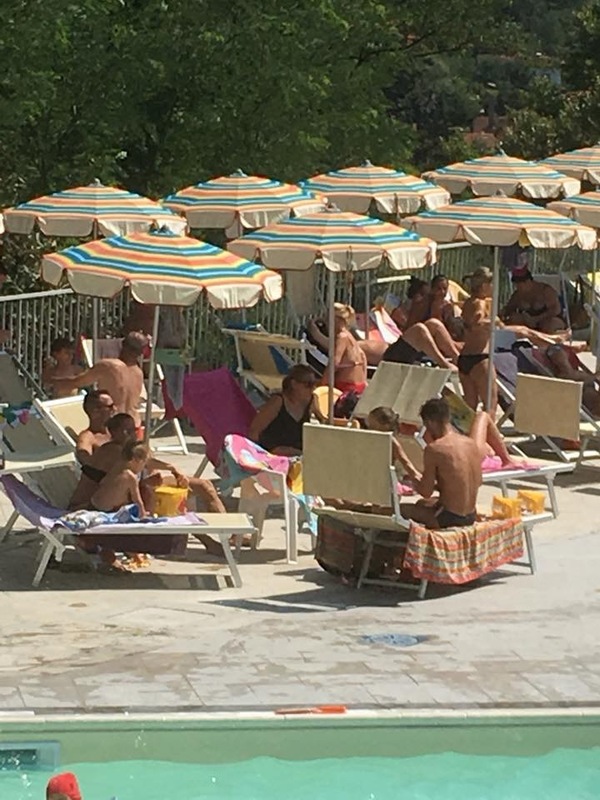 Great to see it back open, Bagni would not be the same without it. 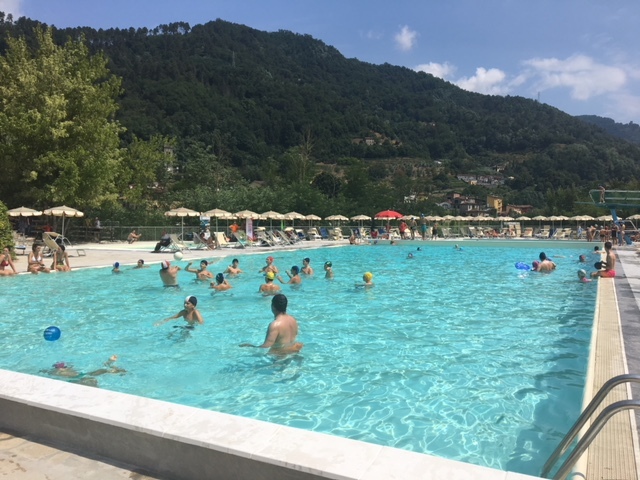 Yes, it is a great attraction in Bagni di Lucca. Wonderful news. So pleased for everyone. Indeed, it has been a lot of work to get it open for at least part of summer. It is excellent news. 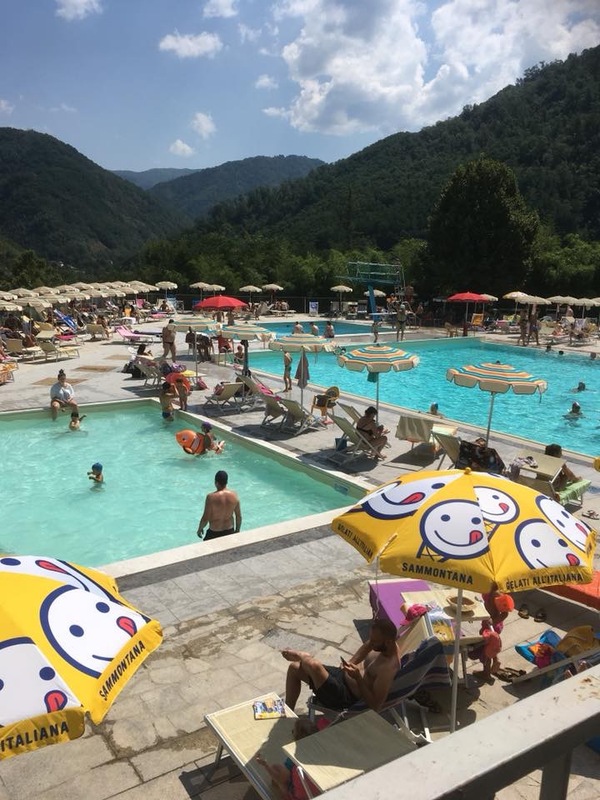 The pool is one of Bagni’s greatest assets. 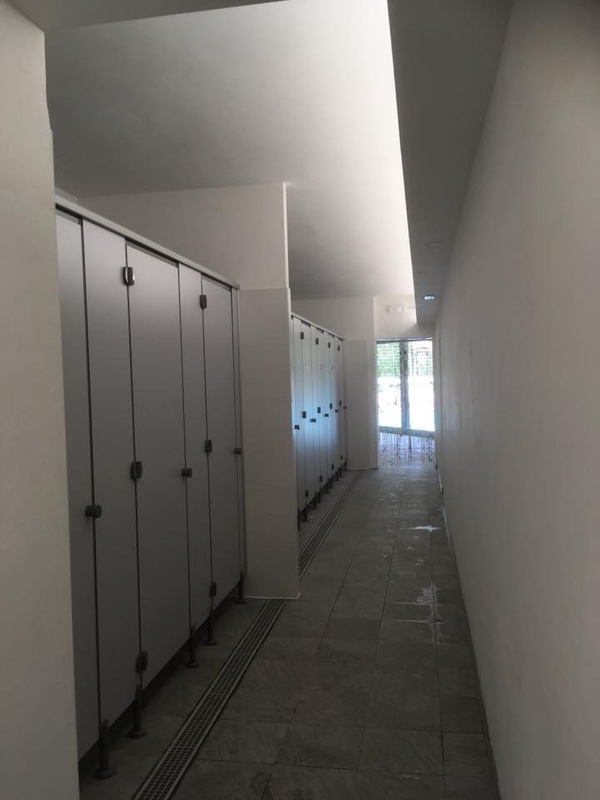 The renovations were extensive and I’m sure everyone is pleased to have it open. The most beautiful setting for a pool. 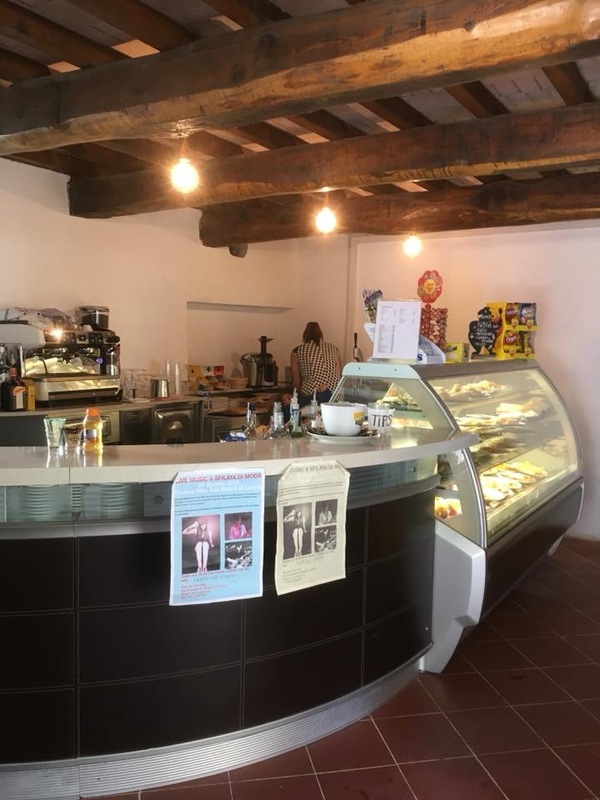 I hope it will be open next year when I come back to Bagni di Lucca. I believe it will close again in September to allow for more work to be done, but I’m sure it will be open next year. 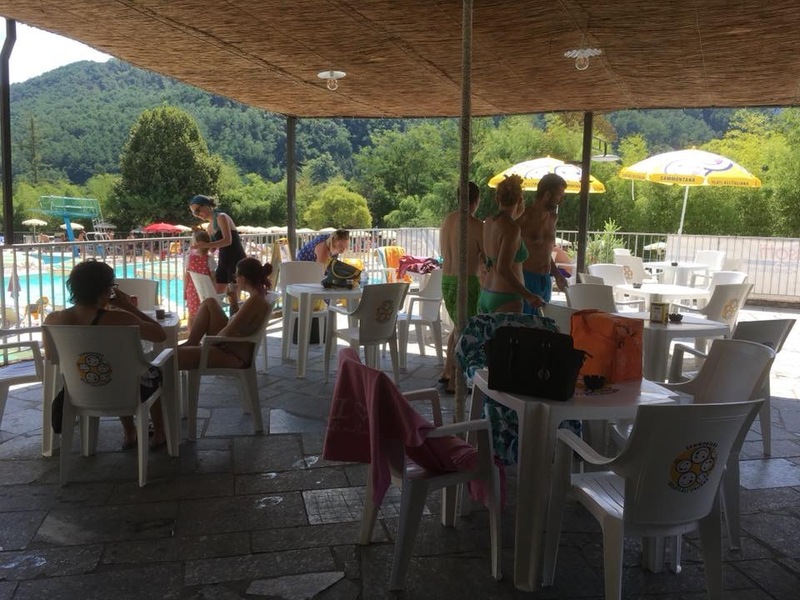 It is great for Bagni di Lucca. The pool looks much the same as it did, and the setting is fabulous, but I’m sure the way it works now is much better. The pool is in such a lovely spot….glad to see that it is back open after the renovations. 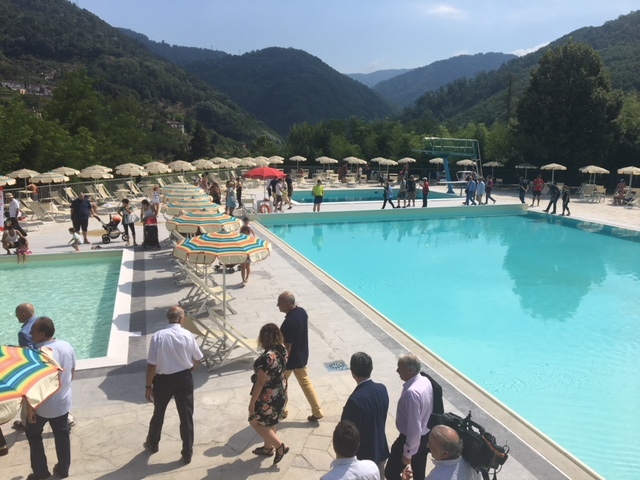 It’s a great pool, a real asset for Bagni di Lucca. Fantastic news. Your comments on the pool and its 50’s movie feel are spot on. I’ve stood there many a time thinking the same thing. 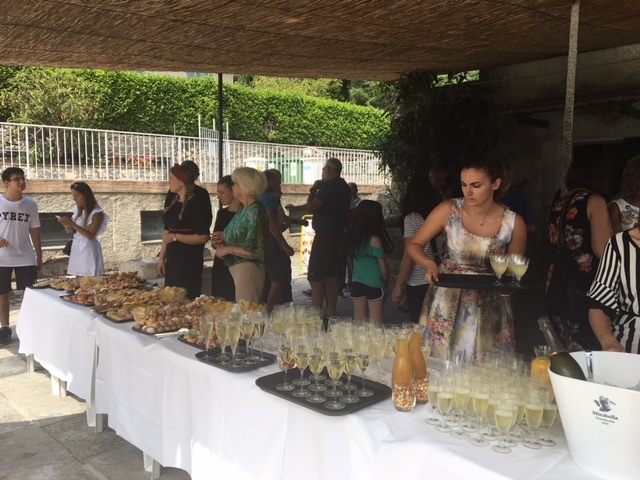 Now, if they could have lined up Gina Lollobrigida or Sophia Loren to attend the grand reopening ……. What a great idea! What fun to see them sunning themselves by the pool.